Here at Positive Chiropractic and Wellness, we specialize in pain management and whole body wellness, including chiropractic care, acupuncture Whether you suffer from chronic back pain or headache, or an auto injury or work injury, or feel overwhelmed from pregnancy pain, our Kirkland chiropractor, massage therapist, and acupuncturist doctors are here to help! We are your preferred auto injury and worker compensation provider! 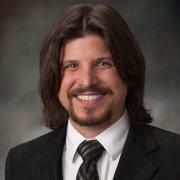 Dr. Ehren Pace began his journey in the natural healthcare profession at a young age. In his teens he became fascinated with herbal and Chinese medicine and began studying books on natural healing and herbal remedies. After graduating high school from the American School of Dubai, Dr. Pace moved back to the states and decided to follow another passion of his, culinary art, leading him to become one of the youngest executive chefs on Florida's Emerald Coast. While his love for the culinary arts never died he decided to go back to his first passion, natural healing. In 2003 Dr. Pace graduated from the C.O.R.E. Institute in Tallahassee, FL with a degree in massage therapy, specializing in myofascial therapy, and shortly thereafter became nationally certified by the National Certification Board of Therapeutic Massage and Bodywork (NCBTMB). While working as a massage therapist at Natural Body Spa in Atlanta Dr. Pace met a client that would change his life, and his career path forever. His client suffered from debilitating pain from advanced Multiple Sclerosis (M.S.) that at times left her unable to walk. After 2 months of massage therapy and a referral to Dr. Pace's chiropractors/mentors his massage client began making remarkable improvement. By her fourth month of care the patient was able to walk without pain and without the assistance of a walker or cane. This miraculous recovery inspired him to go back to school to become a doctor. Dr. Pace began his undergraduate studies in nutrition and psychology at LIFE University in Marietta, GA. Once having fulfilled his prerequisites for the chiropractic program he transferred to Parker University in Dallas, TX. were he graduated with a B.S. in Health & Wellness and a Doctorate of Chiropractic degree. During his internship at Parker, Dr. Pace was chosen by his school to participate in a community based internship at New Beginnings Family Chiropractic in Keller, TX., which specializes in pregnancy, pediatrics, and fertility, an area in which Dr. Pace remains very passionate. Dr. Pace believes that "If we teach our children and families in the community to start making wise decisions regarding their health and well-being early on then we will begin to see a decrease in over all injuries, illnesses, and dis-ease throughout their life time. I have a true passion to teach the families in my community about the importance of proper nutrition, regular exercise, and proper alignment of the spine and extremities, so that they may realize the true power and healing potential we've all had since birth". 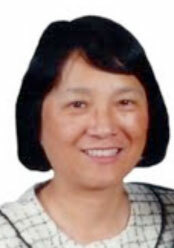 Dr. Lori Jin, a licensed acupuncturist, has extensive medical training and experience in China. She received her MD in China (both Western and Eastern medical training), and her Ph.D. (Pharmacology) from the University of Minnesota. 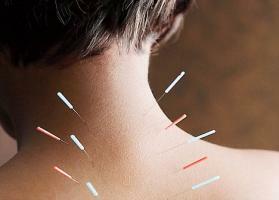 She has been practicing medical acupuncture in Washington State for over 25 years. Dr. Jin is a former research consultant of the Northwest Institute of Acupuncture and Oriental Medicine, and also worked as a research scientist at the University of Washington. Her main research interest is the study of the mechanism of pain and drug abuse, and received a National Research Service Award from NIH for her excellence in medical research. Dr. Jin has always been passionate about medical acupuncture and Eastern medicine. She uses acupuncture to treat a wide range of health problems, and maintains a special interest in the management of pain. Sign-up using the form or call us at 425-820-2773.